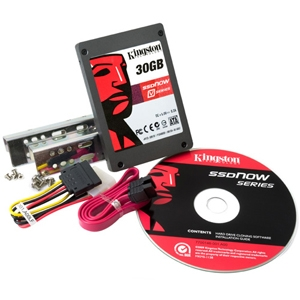 Kingston's SSDNow SSD offers performance gains and power consumption reductions at a fraction of the cost of a new system. SSD is very rugged and built with no moving parts, making it ideal for users who push the limits of their notebooks. Other benefits include reduced power usage, less noise and less heat generation.